River cruising on America’s great waterways has never been in more demand. That’s why American Queen Steamboat Company is expanding its offerings for 2019 with longer cruises and new themed sailings. The New York-based company operates a fleet of three ships: American Queen, American Empress and American Duchess. They journey through America’s heartland, calling on historic towns, plantations and cities that served a vital role in shaping the country. The line also explores the grandeur of the Pacific Northwest along the Columbia and Snake Rivers. For 2019, American Queen Steamboat Company’s offerings will appeal to anyone with an interest in history, legends and American lore. Here’s a look at what the line has in store. New, longer river cruises offer more to explore in America’s heartland. They include Mighty Mississippi, available in three different itineraries. A 23-day version travels from New Orleans to Red Wing (Minneapolis). A 16-day option ventures from Red Wing to New Orleans. And, a 23-day itinerary travels from St. Paul to New Orleans. Racing on the River is a new itinerary from Memphis to Pittsburgh. The racing-theme comes through with a horse racing excursion, a 5K run, a riverboat race plus a visit to Churchill Downs, home of the Kentucky Derby. Making this cruise even more attractive: savings of up to $1,200 on bookings made by December 30, 2018. The new Mark Twain’s Mississippi itinerary travels the Upper Mississippi region that inspired one of America’s most beloved authors. The cruise travels from St. Louis to Red Wing and visits Twain’s childhood hometown of Hannibal, Missouri. The landscape of the Civil War unfolds on a new itinerary from Memphis to Chattanooga. The cruise explores the key role that the Mississippi River played during the conflict. Onboard performers will bring famous figures to life. And, speakers will discuss dramatic events, such as the sinking of the SS Sultana on the Mississippi River. 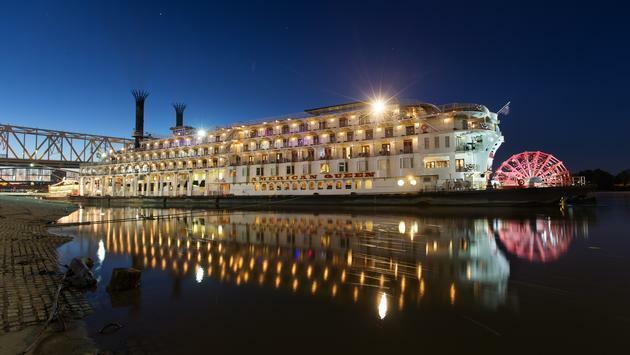 American Queen offers a Taste of Mardi Gras on a new itinerary from New Orleans to Memphis during Mardi Gras. In addition to the colorful sights and sounds of New Orleans, shore excursions along the way include plantation visits, tours of historic Natchez, Miss. and the Civil War battle town of Vicksburg, Miss. 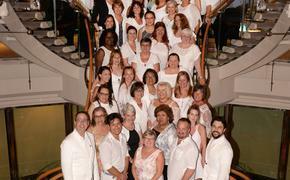 Seasonal Southern hospitality shines through on the line’s Christmas, Plantation-Style cruises. Itineraries travel the Mississippi River from Memphis to New Orleans or roundtrip from New Orleans. Highlights include special Christmas markets featuring local foods, crafts and wares. The heroic exploits of Lewis and Clark are in focus on The Beginning of Lewis and Clark itinerary. The cruise travels from Pittsburg to Louisville along the Ohio River. River cruise devotees will find even more on tap with American Queen Steamboat Company’s expansion plans. The line will acquire the Victory I and Victory II cruise ships and the Victory Cruise Lines brand. The acquisition will allow them to offer cruises on The Great Lakes and more. And, the company also has a fourth ship, American Countess, under construction.